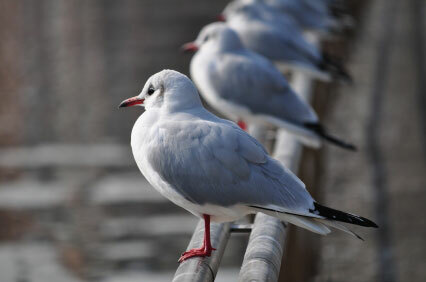 • Ovocontrol P: bird control programs designed to lower the population of pigeons over an extended period of time using egg hatch inhibitor technology; this is a very green approach and allows a very cautious populations lowering from natural mortality. No harsh chemicals are used. • Avitrol: a control program to provide a more rapid approach is still available. A longtime used product, Avitrol, will repel and reduce nuisance pigeon infestations and keep pigeons away with regular maintenance service. Both control programs utilize EPA registered and approved materials. Due to differing State Regulations, not all chemical products/services are available in all Service areas. 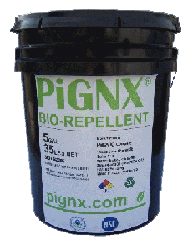 Through the application of a chemical deterrent, a repellent (PiGNX) the perching/roosting habit of the bird can be disrupted. 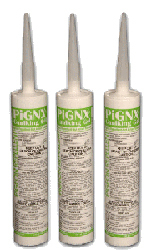 This treatment is especially effective when performed on flat areas before the bird enters their harboring site. The treatment is normally sufficient to reduce the impact of the birds in specific areas. This treatment works for all birds, pigeons, starlings and sparrows. Applying this food based product to ledges the birds pick up the material, and instinctively clean their feet. Ingesting this disagreeable product the birds are affected and repelled from the area. The repellent does not physically harm the bird. The product can be cleaned and removed using soap and water.